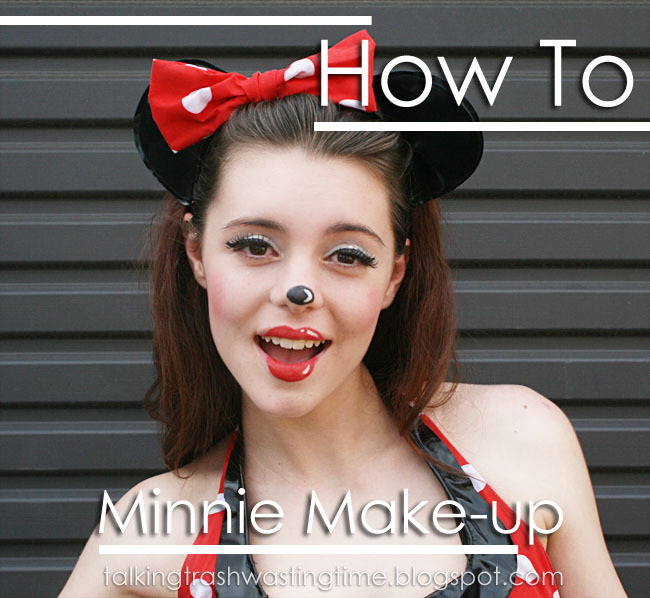 So I decided to experiment with getting some cartoon highlights into the Minnie Mouse make-up, I think it turned out way better than I thought and was quite easy. Below is some quick instructions on how I achieved this look, have fun! Before you start following my steps apply primer (if you have some otherwise some moisturiser) foundation, concealer if needed and face powder. You need to apply this all over your face, including eyelids and lips. 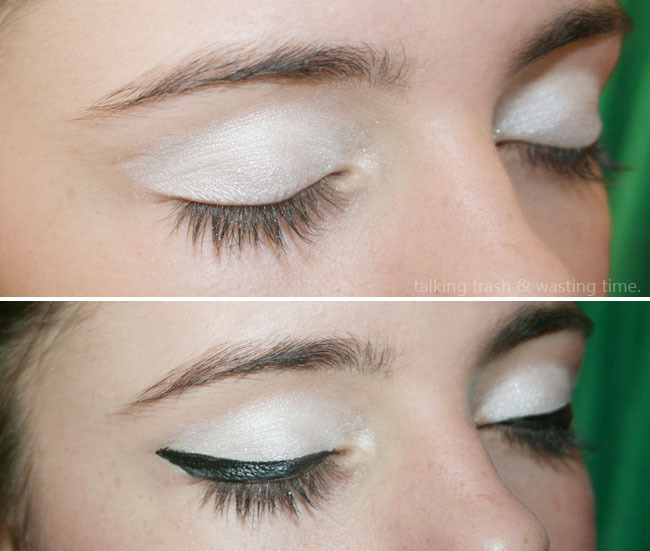 Apply a white eye shadow or a shimmer silver shadow to your eyelid and with a liquid eye-liner draw a thick cat eye. The lipstick is applied to just the centre of the lips, not all the way to the corners. I drew the shape on with a lip liner, coloured in and applied lipstick over the top. Once have your red done, with a liquid white or silver eye-liner draw in the high lights onto one side of the lips. Draw a small oval shape on the nose in a black pencil eye-liner and with the same white eye-liner you used on the lips, highlight the same side as the lips, making a little C or well a backward one lol. On the eyes with the same white liquid eye-liner draw a point shape which points to the edge of the eye, making a highlight on the eyelid. 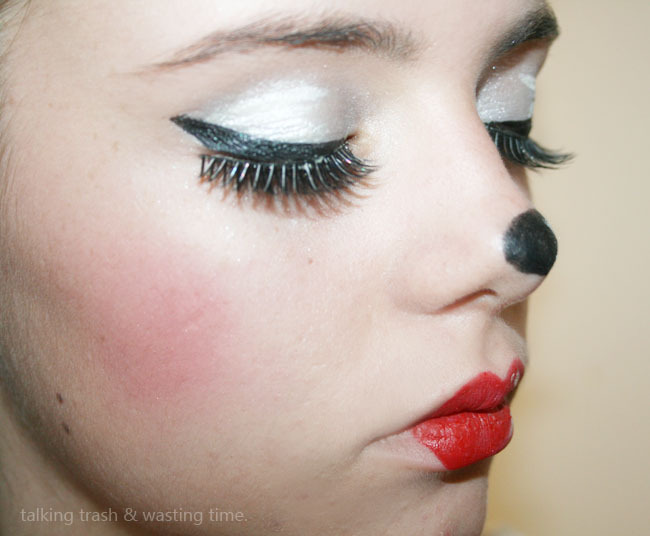 Last minute we added some fake eyelashes but this is not needed, you can just use mascara if you do not have any. DA DAA!!!!! 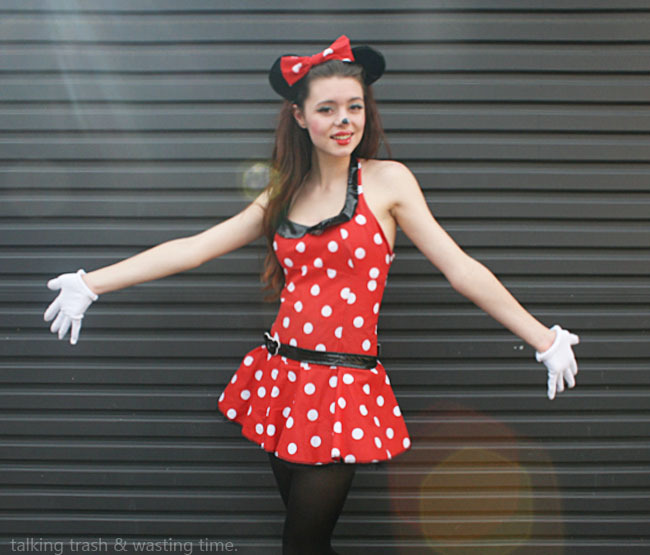 pretty cute hey :) I think you could use this method on a lot of girl cartoon characters for dress up parties or Halloween, its easy, fast and best of all effective. That is such an awesome costume! I would never think to make the makeup look more cartoon. 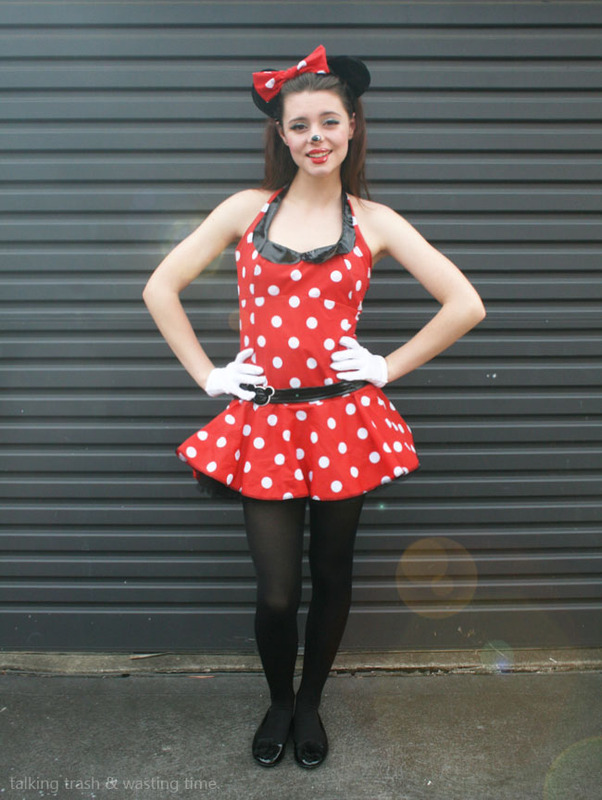 I love dress up parties! I wish I had as many to go to as your daughter does. That is a nice costume and I love the makeup! looks great! omg she looks soo beautiful. I love the costume and the make up. You are an artist! omg this is the cutest make up ever! I will try it,for sure! Extremely cute, my daughter would love it! You are ridiculously talented. This is such a simple idea but it looks so effective. I want to give this a go this weekend.